A native of Southern California, Marianne Dezelan, PA-C earned a Bachelors of Arts degree in Psychology from the University of California, Riverside. She is also a graduate of Western University Health Sciences Physician Assistant program in Pomona. 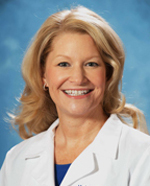 A Board Certified Physician Assistant, Marianne spent her first five years of her Physician Assistant career in orthopedic surgery, including surgical assist in spine surgery. In 2003, she transitioned her specialty to pain management, caring for patients with acute and chronic spinal disorders, as well as other pain related conditions. Marianne rejoined Desert Orthopedic Center in 2012 as the Physician Assistant for Dr. P. Jeffrey Smith and Dr. Hazmer Cassim as part of the Comprehensive Spine Center Pain Management team. Marianne is a member of the California Academy of Physician Assistants (CAPA), the American Academy of Physician Assistants (AAPA) and the American Academy of Pain Medicine (AAPM). She is certified in Basic Life Support and Advanced Cardiac Life Support. In Marianne’s free time she enjoys traveling and hiking with her husband.